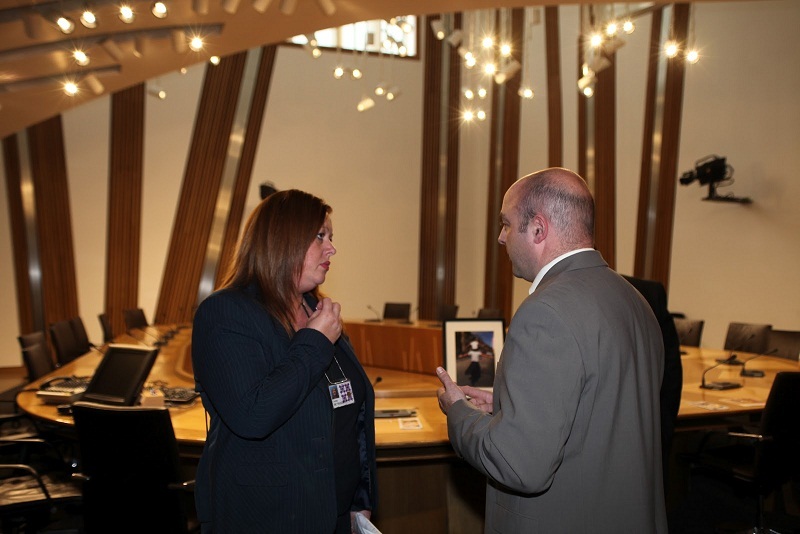 Anne McTaggart MSP was delighted to drop in on the Dad’s Rock photo exhibition last week when it visited the Scottish Parliament. Dad’s Rock is a not-for-profit organisation set up by Edinburgh dads David Marshall and Thomas Lynch. They started Dads Rock last year as a playgroup specifically for dads and their kids, after attending playgroups in the past and noticing that men were in general missing from the groups. Sponsored by Kezia Dugdale MSP, the Dads Rock photo exhibition depicted Dads from all over the nation from all different family set-ups with their children. The exhibition hoped to raise awareness of issues faced by Dads in Scotland. This entry was posted in Uncategorized and tagged Dad Rock, Kezia Dugdale MSP. Bookmark the permalink.